& the Lil Divas have been begging to make scarecrows. we made easy & fun Paper Bag Scarecrows. 1. Stuff paper bag with crumpled newspaper, paper or paper towels. 2. Tie bag with yarn/string. This will be your scarecrow's head. 4. 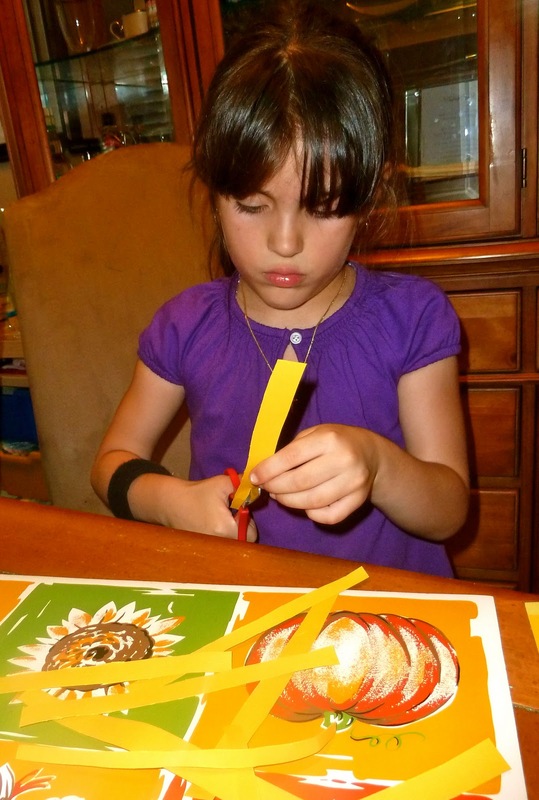 Cut paper into strips for hair in desired color. 5. I drew a hat onto paper & the Lil Divas cut it out. 6. Glue hat onto strips on top of bag. 7. Add strips on back of hat and under the front as hair. 8. Cut a strip in desired color for the trim on the hat & glue on. you can substitute wiggly eyes or stickers for this part as well. They are a happy addition to our fall decorations. They turned out so cute! We like the book - The scarecrow's Hat! Oh cute! These are just adorable! What a fun and creative project for an older child! Thanks for sharing this. Could you please link this post up for Fun STuff Fridays? What a cute craft! These are such fun. These are awesome!! What size bag did you use? It looks like lunch bag size may be too small? Thanks! !